If you're looking for ad space on the podcast, this is the place. This gets you an ad read on 4 episodes of the public Bottomshelf Bitcoin feed, as well as a link in the show notes for those episodes and one on the Sponsors page of bottomshelfbitcoin.com. All ads are subject to approval; if rejected, funds will be returned. tallyco.in will not be able to detect your donation. tallyco.in © All Rights Reserved. NOTE: For your payment to be recognised, please send the exact BTC amount. Please understand that tallyco.in does not validate, view, or make judgements on the quality or content of perks, subscriptions or user-generated material. Tallyco.in is not responsible for or make any guarantees to the authenticity, honesty or validity of claims or promises made for perks or subscriptions. Payments made to the Bitcoin or Lightning address are *not* controlled by tallyco.in and we cannot issue refunds for *any* reason. 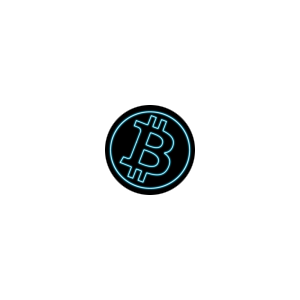 Bitcoin you send goes directly to the wallet owned by the recipient. Any disputes should be taken directly to the user @bottomshelfbtc. Why Is Payment Amount Different From What I Expected? When viewing a non-bitcoin currency (ie, US Dollars), the amount is converted into bitcoin at the time of payment. Your wallet may show a different USD amount, depending on the source of exchange rates. For your payment to be recognised, please send the exact BTC amount specified. A 'satoshi' is the smallest unit of bitcoin (100 millionth of a bitcoin). We may add or subtract upto 99 units of this tiny value to the final cost of the transaction. These extra satoshis help us track your payments on the blockchain so we know it's from you and related to the item you're paying for. Tallycoin does not take a cut or receive these extra satoshis. Every bit of your payment goes to the recipient. Save this image and share on social media. 1. Add the following to the <head> tag of your website (only once). 2. Add the following to the main body of your website (multiple allowed). The widget looks at the data-* attributes to determine what to do. Eg #1, data-type="profile" shows the profile panel and will retrieve information about the user set by data-id="username". Eg #2, data-type="fundraiser" shows the fundraiser panel and will retrieve transaction information set by data-id="fundraiser_id". The purple button on the front panel is the 'call to action'. We can customize the text, for example, it can say 'donate now' or 'send a tip'. We do this by adding the data-action_text="some action text" attribute. Don't like the default light theme? We can add the data-theme="dark" attribute. By default, the widget will appear as a panel. To transform it into a small button, we add the data-size="button" attribute. When using a button, we must also specify the button text with the data-button_text="some text" attribute. By default, the panel has a border with rounded edges and a light shadow. We can specify the border class by adding the data-border_class="yourclass" attribute. To remove the border entirely, we can set data-border_class="none"